Today the phrase “running around like a chicken with its head cut off” is an understatement of the millennium. And one that I hope I never, ever witness. I cannot bear to see this beauty without a head. Have I mentioned I’m getting chickens delivered March 14th? Oh, I have? Only 3 gazillion times you say. Sorry. It’s just that I’m busting at the seams. The next two weeks of my life are a whirlwind of busy-ness. I have been dreading these last 2 weeks of January. Some days I find myself wanting to step into a time machine and travel to February 1st, but then I’d feel compelled to push forward to March 14th, for reasons obvious. Surely. During the next 10 days, I am going to be out of my classroom for 5 of them. Three of those days I will be learning all about Title I schools. My school is heading down the Title I path, which means that 50% or more of our student population qualifies for free or reduced lunches. We are the final campus to move this direction, all other schools in my town are already Title I, which tells you a little bit about the demographics of my little town of 17,000 people. The other 2 days I will be out testing my second graders one by one. Three times a year, we get substitutes to teach our class while we sit individually with each student and assess their reading, writing, and spelling abilities. It is arduous on both them and me. So planning for a substitute and then catching up, to only plan for a substitute again makes me feel like a headless chicken. Adding to these work responsibilities is this little thing called life. Cleaning house, cooking meals, being a wife, keeping up with my postaday blogging challenge, keeping up with my exercise plan and buddy I’ve already fallen behind with, remodeling a trailer house and packing and moving. I’m beat already. Finished before I started. Stick a fork in me. I’m done. I’m sure many others can certainly relate to the busy-ness of our existence. Today the calendar date glares at me reminding me I am two days late for the Beth Moore Scripture Memory Team. Every month, on the 1st and the 15th, we choose a verse from the Bible to memorize. Jesus used scripture when tempted by Satan. It is the sword by which we do battle. I need refreshing. I searched for a memory verse that would tell me to come to the Lord for refreshing, to call on the Lord and he’ll give me energy to endure, to rest in the Lord, which I found and He will, but the verse that spoke to me did not tell my to lay down and rest. It did not say massages and pedicures are in full order. It did not tell me to take 3 hour naps. Not even 2 hour ones. It told me to be an active participant rather than a passive recipient of the refreshing I desperately need. Proverbs 11:25 screamed itself at me this morning. What can you do for someone else? Who in your little world needs refreshing? And then refreshing shall come. May you find your needs met today. I have few things I want to share with you today. We’re studying the water cycle in science up at the elementary school. You remember your second grade science class don’t you? Or has it been many moons? For a quick review, here’s a song about the water cycle sung to the tune of If You’re Happy and You Know It, Clap Your Hands. A one, a two, A one, two, three, four…..
Take a long, hard look. See how great he is—-inifinite, greater than anything you could ever imagine or figure out! He pulls water up out of the sea, distills it, and fills up his rain-cloud cisterns. Then the skies open up and pour out soaking showers on everyone. Does anyone have the slightest idea how this happens? I read that and was bamboozled. It’s the water cycle, right there…..evaporation, condensation, precipitation. I don’t know why I was so surprised to find this in the Bible. I mean, God is the creator of everything after all. What took scientists until the 16th century to learn and label with big, scientific sounding words, Elihu knew 2000-1800 years B.C. Awesome, isn’t it? I’ve never been a magazine subscriber until recently. I spent a good $50 on magazine subscriptions when we bought our Little Trailer House on the Prairie. 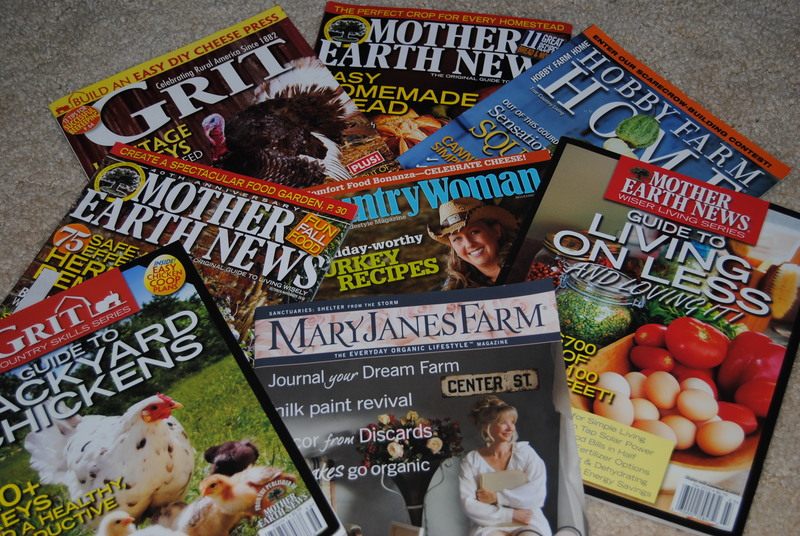 These magazines will teach you how to garden, can food, cook chickens, milk cows, build solar panels, bake bread, make hammocks, and asundry other very informational things. Someday I fear us younger generations are going to wish we knew how not to depend on commercialism. 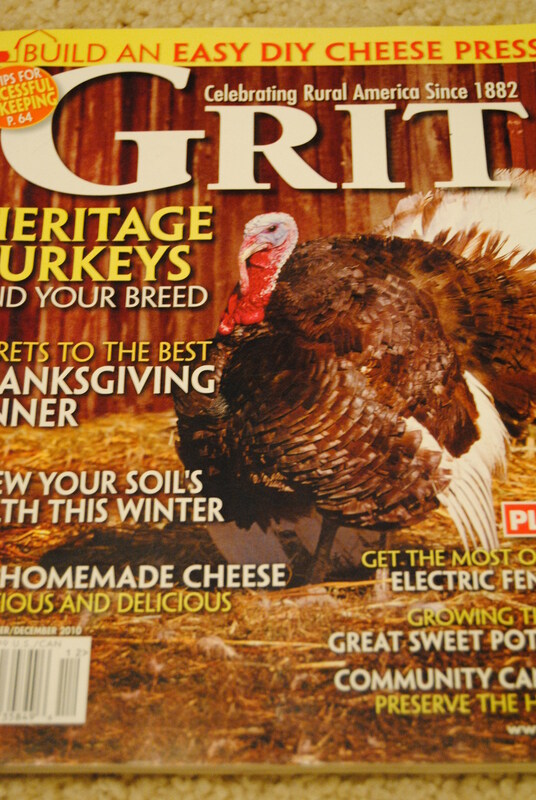 Today I received this new GRIT magazine in the mail from my grandmother-in-law. We call her M.O. It’s all about turkeys. She also sent this book home with Jason recently. 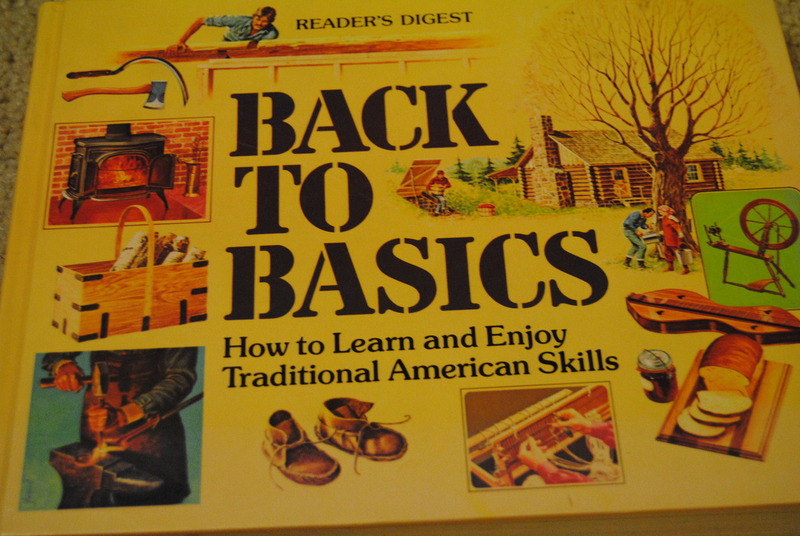 It teaches how to make home-made beer. Among other important things. But the item that I received in the mail yesterday that made my heart go pitter-pat, was new sticky return address labels. With my name and address of course. But these aren’t just any old kind of return address labels. They have pictures on them. And not of flags either. 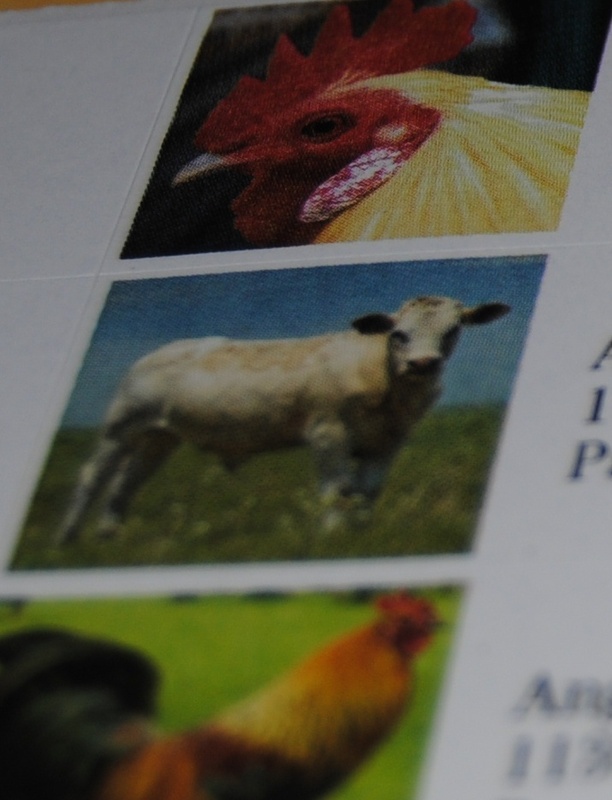 A chicken, a cow, and a rooster. And look at this. Doesn’t she make you want to just snuggle up with her? 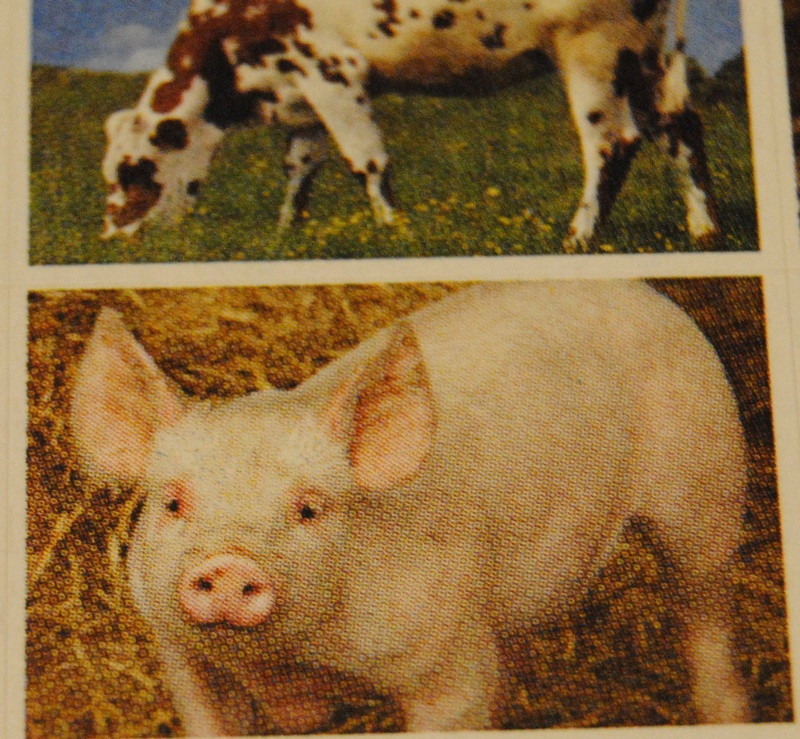 I’ve never wanted a pig. Never ever. I can’t resist him any longer. I’ve been unsubscribing to a lot of my emails lately. I click unsubscribe and a box pops up that says something like, “Thank you. You won’t be receiving any more emails from us” But then suddenly, an alert of a new email message pops up from the exact same company who just lied to me telling me I won’t be receiving any more emails from them that says, “We’re sad to see you go, would you please fill out a short survey letting us know what’s wrong.” Or “Oops, did you mean to unsubscibe from us? If it’s a mistake, please click here.” That’s a little bit annoying to me. Just needed to vent. I read a little snippet today that the earth’s rotation is moving in such a way that our zodiacal (if that’s even a word) signs are changing. So guess what? You may no longer be a Leo or a Sagittarius. I was a Pisces, but now I’m an Aquarius. Don’t let it shatter your world. I think it was just a bunch of drunk on home-made beer farmers that decided it. I’m reading the Bible chronologically. I’m following a reading plan found here www.bibleplan.org/ch/niv Did you know that Job lived before Abraham? This morning I sat down with my cup of coffee and my Bible to listen to Job whine a bit. As if he didn’t have much to whine about it. His entire family was killed, he lost everything, and then he was stricken with sores and illness. And while he was down, his so-called friends came and kicked him. This song blessed me to tears today. May it bless you too. Basically she challenges us to memorize 24 scriptures during the year. Two a month. That’s pretty do-able. 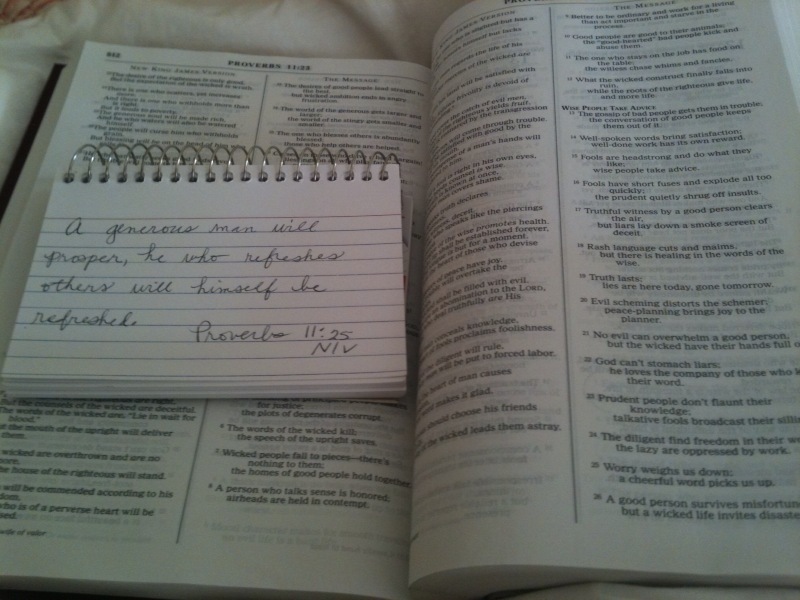 To participate, you pick a verse that is relevant to where you are right then in your life. If you don’t have one, you can always use the one she posts. I didn’t know what verse to choose, until Sunday when I experienced a crisis of faith. I got a notion to visit someone in the hospital this past weekend. I don’t really know why, it’s not something I regularly do. The person in the hospital is not someone whom I hang out with, or talk with on the phone. We’ve never gone for ice cream or pedicures, she’s just someone I sort of know. An acquaintance really. But I got a strange feeling I should visit her. I don’t know how you feel about hearing from God, or if you even believe He speaks to us at all, but I do and I try to remain open to His voice. I believe He works in small and mysterious ways. I know His plans are good for me, and I don’t want to miss out on something He has in store. So I considered this might be God talking to me and decided to be obedient, despite the awkwardness of it. So I ran into the store and got something for her and went to the hospital. I didn’t know what room she was in, but from past hospital visitation experiences, everyone usually winds up on the third floor. I got off the elevator, stepped up to the nurse’s station, with the plant and asked for her room number. And you’ll never believe it. But she had been released that morning. Hmmmm? Was God talking to me after all? Okaaayyyyy. Now what do I do? Maybe I’ll run it by her house even though I have no idea where she lives. So I got back on the elevator, stepped onto the first floor to go to my car and something stopped me. I stood in the foyer outside the elevator and felt extremely led to give the plant in my arms to someone hospitalized who maybe hadn’t had a visitor. A lonely old person perhaps? Surely, there’s lonely people in the hospital. Hmmmmm? Now was this God speaking to me? Maybe I needed to minister to someone in need? Maybe I’m at this hospital for someone I’m unaware of. So in an attempt to be obedient, once again I got back in the elevator, returned to the third floor, walked up to the nurse’s station and asked if there might be someone on that floor who could use a visitor and a plant. The nurses look at the wall of patient’s names and room numbers, consider their patients, and slowly shake their heads. Seems like everyone is doing just fine and dandy. Alrighty then. So now what? I guess I’ll just keep the dern plant for myself. I got back in the elevator to leave. I stood in the elevator alone and cried. Not because the person I went to see wasn’t in the hospital anymore. Not because I spent money on a plant that no one needed. Not even because the nurses couldn’t help me find ONE SINGLE PERSON to brighten their day. But because, right then and there, alone in an elevator, it became blatantly apparent to me that I don’t recognize the voice of God, obviously. And then the other VOICE came. The bad VOICE. The one who speaks defeat and negativity to my soul. It makes me doubt, causing confusion, fear and self-loathing. It twisted itself around my head and my heart and caused me to think, “How do I know if I have ever heard God’s voice? I didn’t today when I thought I had on three different occasions. Which only means, all those other times in my life, all those instructions, all those thoughts that I felt were God’s way of directing me, that was probably just indigestion or something. 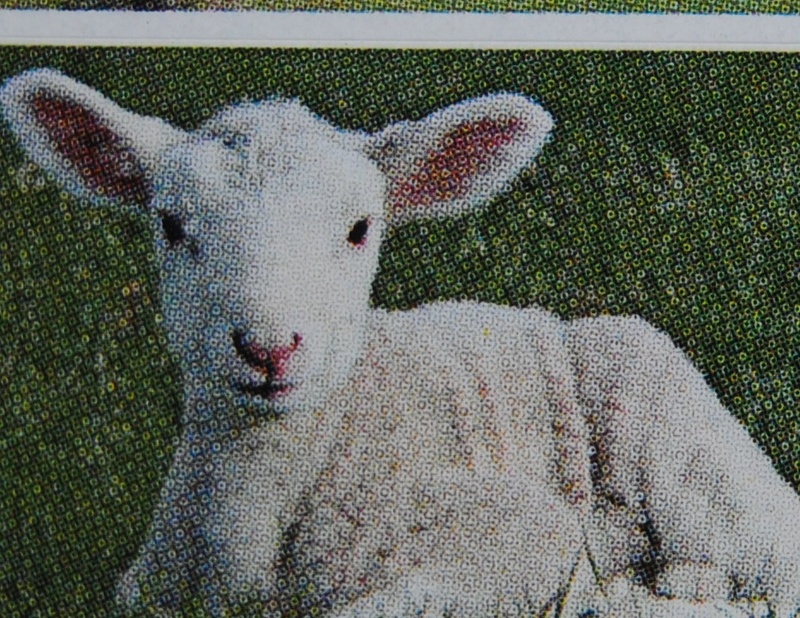 I know I am not a lost sheep. I know I have a shepherd. He laid down his life for me, just as the shepherd lays down his life for the sheep. He protects me from the wolves who wish to cause me harm. He leads me so I do not go astray. And I long to hear his voice.